Before bouncers, punks, skinheads and Yeezy started wearing Alpha’s MA-1 jacket it was the flight jacket of U.S. Air Force and Navy. 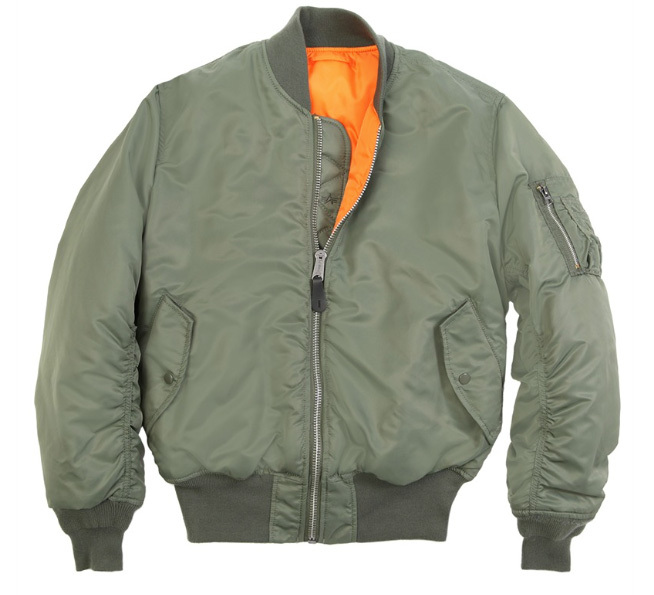 The MA-1 jacket was the first military flight jacket to cross over into civilian fashion. AI’s classic flight jacket includes knit cuffs, a knit collar and waistband, as well as a strong front zipper with storm flap for warmth. There are multiple snap-closure pockets as well as the utility/pencil pocket with the “Remove Before Flight” key chain. An addition to the jacket in the 60’s was the reversibility to show off an Indian Orange lining. The reason being if a plane crashed, the pilot could reverse the jacket to the orange side to signal rescue personnel, exactly what you need on a night out up North! This classic version has been kept as close as possible to the classic specifications, it has been the subject of many colabs over the years but this in its purist version is pretty iconic. A Bathing Ape has long held an affinity for authenticity and in doing so has rightfully sought out some of the industry’s best including Alpha Industries. Having been an important purveyor of combat-ready apparel, Alpha Industries’s iconic MA-1 is modified by A Bathing Ape to reflect a more fashion-forward fit with a slimmer profile. 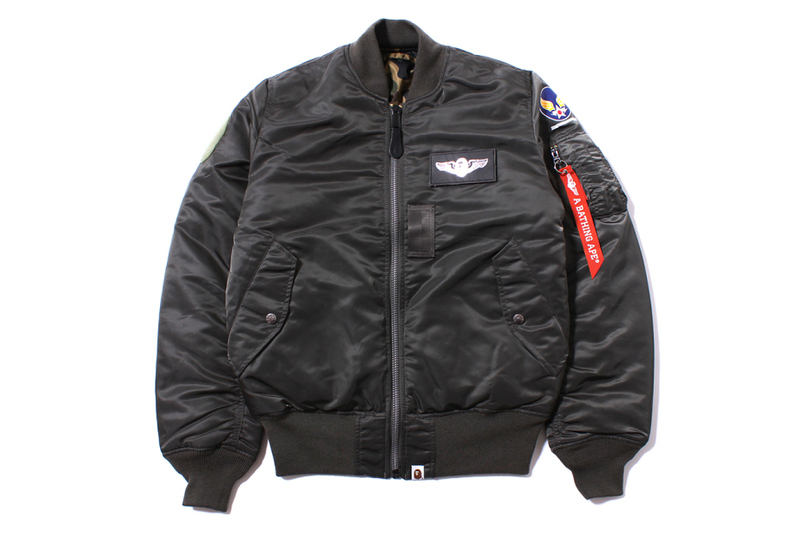 Available in both black and classic olive, the jacket is available now at select BAPE STORES around the world.